GUIDE PRICE: 425,000 to 435,000 A two double bedroom apartment located within this well regarded gated development. 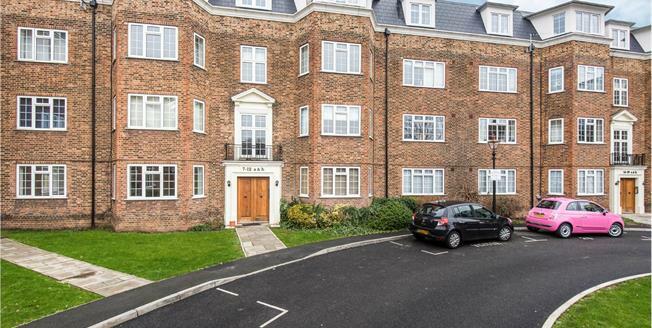 This beautifully presented apartment is set within the prestigious Orchard Court development which is moments from Worcester Park station with its regular service to London Waterloo in around thirty minutes. The property itself is on the first floor and extends to almost 800 sq ft. There is a spacious and bright reception room with a bay window overlooking the central lawn. The kitchen has a range of stylish modern base and eye-level units and the bathroom has a contemporary finish with a bath and separate shower unit. The property also benefits from a gas boiler. Two double bedrooms, a private garage with allocated parking to the front, a storage cage and bike shed complete this fantastic property. Worcester Park has excellent transport links with a train link to Waterloo and buses serving New Malden, Kingston and Sutton. The A3 provides access to London and the south of England by road. As you would expect from a busy and vibrant high street Central Road offers an excellent range of shops, bars and restaurants including a Waitrose, Costa and Cafe Nero.